"This year's budget is primarily composed of losers. I don't see a whole lot of winners in it," said Oklahoma Watch state Capitol reporter M. Scott Carter. "There were a few agencies that got little bumps - Corrections, Health Department, Mental Health, the Health Care Authority - but most agencies saw cuts or standstill budgets." 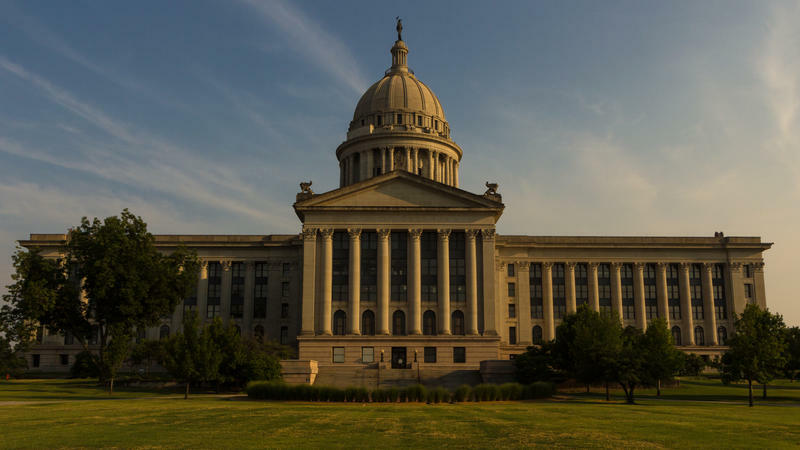 The Oklahoma State Department of Education received a standstill budget, while higher education took a 2.44 percent cut, and CareerTech saw its appropriations slashed by 3.5 percent. "The way that the legislature claimed victory [was] in saying, 'We didn't cut the budget so much. We kept a lot of people flat. We gave increases to people. '," said Dale Denwalt, a state Capitol reporter for The Journal Record. "That was earned by dipping into revolving funds that these agencies hold, these savings account." Before the session started, Gov. 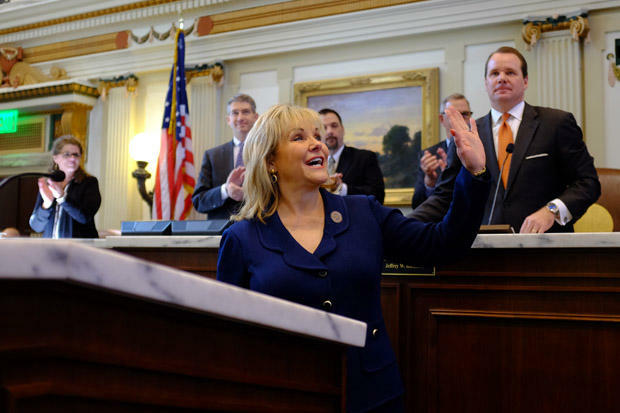 Mary Fallin said part of the problem with the state's budgeting process comes from the fact that lawmakers only appropriate 95 percent of state revenue, with the rest going into these revolving funds or other accounts earmarked for specific purposes. "She talked about changing that process, but I'm not sure that much got done about that during the session," said Journal Record managing editor and regular Business Intelligence Report contributor Adam Brooks. So how do you make a budget more sustainable, without using one-time monies year after year? Carter said he expects lawmakers to tap that five percent cash flow reserve fund next year, as well as taking more Rainy Day and Unclaimed Property funds for Fiscal Year 2017. "What makes matters worse next year, though, is that there's an income tax cut that's getting ready to kick in, that' going to take - and when you hamburger-ize it out over the year - it's going to pull about another $100 million out of the budget," Carter said. "So they're going to be looking at this same issue again - where to cut spending. It's not going to be, 'Where do we take revenue and place it for priorities?' as much as it's going to be, 'Who do we cut to make sure the budget's balanced?'." Brooks said even though oil prices have stopped falling, it's not certain when prices will rebound, meaning less gross production taxes on oil and gas drilling flowing into state c offers. The budget, and the shortfall, loomed over the entire session, but most of the negotiations were handled behind closed doors and in back rooms before the public, and possibly most of the lawmakers, had a chance to see it. Brooks said Fallin was a lot less visible in 2015 than in the past. That's likely partially due to her first session as a term-limited governor with no reelection campaign looming, but she could also be looking beyond Oklahoma when she's out of office in 2019. "There are folks around the Capitol that have speculated that she might be wanting to make sure she doesn't do anything negative in the public light if she's looking at a Republican administration in Washington in a couple years, and maybe there'd be a position for her there," Brooks said. "Others think there was jut no big fight, and she could get most of what she wanted by staying quiet, and that was strategically the right thing to do." Denwalt said the budget proposals Fallin did introduce weren't very controversial, with plenty of support from the start. "When you don't have a lot of opposition, there's no real reason to show your face if you don't have to," Denwalt said. "And it lets the legislative guys kind of take the brunt where they need to." Carter disagreed a little bit, saying Fallin was very involved, but represented by state Secretary of Finance Preston Doerflinger. "Doerflinger's really good at writing a budget, so the governor said, 'Here's my direction.' She announced that in February during her State of the State, and I think she got a lot of what she wanted," Carter said. "If you look at that plan compared to what the actual budget is, it's pretty similar to what the governor asked for. So she didn't have to strong arm people a lot. She had Doerflinger down there doing a lot of the heavy lifting. He's really good at it. He works really well with the House. There was some contention with the Senate. But the end result? She got a lot of what she wanted." What Will Ease Oklahoma's Overcrowded And Understaffed Corrections System? The Oklahoma Department of Corrections received a $14 million budget increase, and most of that will likely be spent on easing the state's overcrowded prisons, which Carter says are at about 112 percent capacity. "This year, they passed a bill that they worked with the sheriff's department on, the Sheriff's Association, county officials, and corrections officials, that said when the state is at capacity, before they go to a private prison, county officials have the right of first refusal," Carter said. "They have to ask them, 'Can you hold prisoners?' So it's a way to redirect some of that money back." About 70 percent of the state's prison population is there on drug convictions, and one bill gave judges more flexibility on sentencing. Another measure gave judges more leeway on mandatory minimum sentences. "Doing that, which is exactly the opposite of legislation that was passed about a decade, a decade and a half ago, doing that, you could see, in the next few years, fewer inmates sentenced to long sentences and more being redirected into treatment and work release," Carter said. "I think those things are the beginnings of a little bit of judicial reform effort." Carter said both American Civil Liberties Union of Oklahoma executive director Ryan Kiesel and House Speaker Jeff Hickman are concerned the state's corrections system could be subject to federal control without major steps to fix some of these issues. "Nationally, and in Oklahoma, on both sides of the political spectrum, there's kind of this movement to look at why we're locking people up, and whether that's the best way to handle them in terms of keeping people safe and in terms of spending our money," Brooks said. "We saw in Nebraska this year that they got rid of the death penalty. A very conservative state, but they realized it was costing too much, and it wasn't very effective. So I think a lot of places are looking at ways to do prison smarter. You still want public safety, but maybe you don't have to spend as much money locking up a huge percentage of the population." Oklahoma saw record rainfall throughout the month of May, with some sites receiving as much as two feet of water over a 30-day period, according to the Oklahoma Mesonet. 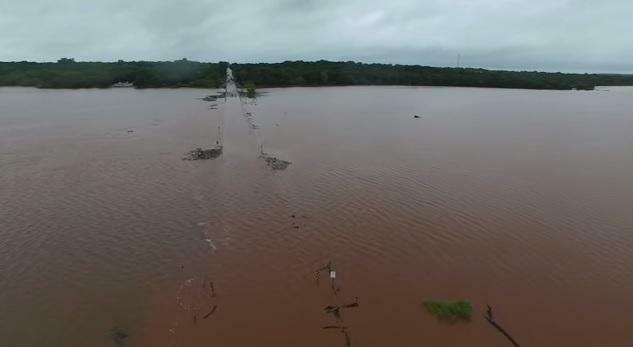 Many roads remained underwater long after the skies cleared, and state and county transportation officials discovered heavily damaged railroads and bridges once the waters receded. Denwalt says there's about $3.5 million left in a revolving fund for county emergencies, and the process takes about six weeks to access and receive loan approval. Carter also says Fallin directed the Oklahoma Department of Transportation to help out and redirect resources toward repairs, especially on roads and bridges that provide access from rural to metro areas. The setback could hinder Fallin's long-term goal of significant improvement to Oklahoma's transportation infrastructure before her term ends. "Transportation infrastructure's been an issue for years. They had been allocating money and doing everything they could to catch up," Carter sad. "I know at one time there were thousands of thoroughfares and bridges on the list. They've reduced that down to several hundred, but they still have a long way to go. It may take a couple more governors before that's finally complete." The panel also discussed the budget's affect on teachers, as well as a lack of a pay raise and no changes to statewide testing. Lawmakers rolled back several tax credits for wind energy producers, and some of the background behind why it took 20 years to finally see a resolution on the American Indian Cultural Center and Museum. 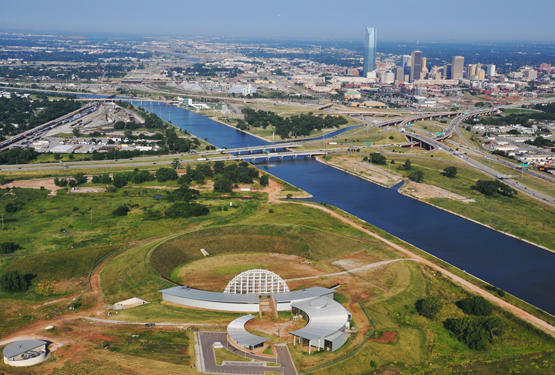 Oklahoma Watch's M. Scott Carter explains why the fight over the American Indian Cultural Center and Museum was really a fight about water issues. State lawmakers had a lot of tourism and recreation projects on their plates this week - specifically one museum in Oklahoma City, and another in Tulsa. 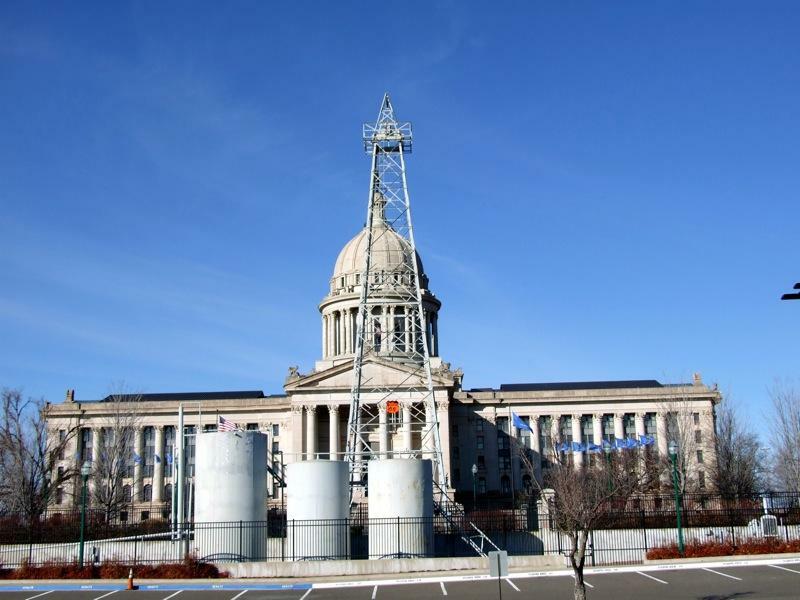 Oklahoma lawmakers filed more than 2,000 bills for consideration during the 2015 legislative session, which runs from February to May. StateImpact’s coverage of the Legislature will focus on bills that concern energy, the environment, natural resources and the economy.